Here's today's burning question can you drink water when you eat??? Of course you can...but some people are asking should you??? If you watch any of those healthy eating shows you've probably heard the experts say that you absolutely mustn't eat and drink at the same time. Some of them explain that doing so makes us fat while others say water dilutes our stomach acid. "Can ordinary water really be that harmful to us???" Well let's find out the truth about drinking water during a meal. Why are some people against drinking water while eating??? It's common belief that water is bad for your digestion when consumed during a meal. Some people think that water pushes food that's still undigested into the intestines and then there are those who think that drinking water while eating decreases the acidity in the stomach. So if gastric acid gets diluted it won't be able to digest your food thoroughly enough. But the ones on the opposite side of the debate say there's nothing wrong in trying to make overly salty or dry food more edible. So what happens to food and water in the stomach??? The digestive process or in other words the breakdown of large pieces of food into tiny food particles that can be absorbed into the blood starts before you even put the fork in your mouth. When we're just thinking about our future meal saliva starts getting secreted in the mouth. This saliva is the initial step in the digestive process because it contains enzymes that break down the food that we chew. This softened food then goes into our stomachs where it gets mixed with stomach acid. On average the stomach needs four hours to digest food before turning it into liquid or Chyme. Chyme is then sent into the intestines where it gives the body all the nutrients it needs. Water unlike food it doesn't stick around in the stomach for so long it takes about ten minutes for the stomach to pass 10 ounces of water. So if you drink while eating it's not like the water is forming a lake down there in your belly it goes through the chewed food very quickly moisturizes it and leaves the stomach way before the food does. Liquids don't decrease stomach acidity. Don't underestimate the efficiency of your body sure it's a complicated system but all the same a well-tuned one. If the stomach feels that it can't digest something it pumps out more enzymes to increase the acidity of the liquid inside. Even if you drink a half a gallon of water it won't change the acidity and if you're used to drinking tea with food instead of water there's nothing wrong with that either. Research shows that there's no difference in acidity levels after drinking tea or water. In fact water doesn't just enter the stomach from a glass it's also in the food you eat. For example- oranges along with raspberries and pineapples are 87% water, melon is made up of about 90% water and water melon is a whopping 92% pure h2o. But the champion here is the cucumber that water makes up 96% of this green goodness. Now there was a 2008 study called the "Disintegration of Solid Foods in the Human Stomach" It was published in the Journal of food science which showed that some foods can in fact decrease acidity levels in the stomach. Liquids don't influence the speed of digestion. There are no studies backing up the claim that liquid pushes solid food into the intestines before it's fully digested. Scientists say that liquid leaves the body faster than solid food but it doesn't influence the speed of digestion. So can we drink while eating or not??? Having something to drink with your meals is harmless, in fact there are a lot of advantages to drinking while eating. It helps soften and break down solid food so that your body can absorb the nutrients better. Water also prevents constipation since it softens the stool. Not to mention a study published in the Journal of the Academy of Nutrition and Dietetics showed that when a person puts down their fork every so often during a meal in order to take a drink. They don't eat as fast which means they eat less. Just make sure you don't take a big gulp of water right before you swallow your food in hopes of washing it down because it can dilute your enzyme rich saliva. The temperature of the water you drink also doesn't influence the speed of digestion or how many nutrients you receive. According to scientific testing the stomach can heat up or cool down foods and liquids to the necessary level. Cold beverages for instance get warmed up to 86 degrees Fahrenheit within the first 5 minutes of entering the body. Despite this fact scientists still recommend drinking warm water over anything else. This might surprise you but ice-cold drinks may negatively affect your digestion. As for two hot drinks they can scald and damage your esophagus. If you drink hot beverages after coming inside from the cold the sudden temperature change can damage your teeth's enamel plus some doctors have drawn a connection between frequent nosebleeds and love for hot drinks. As for drinking warm or lukewarm water it has a number of benefits it hydrates your body faster and better, it boosts digestion by stimulating natural digestive enzymes. Warm water makes it easier to break down food and it ensures better bowel movements especially if you drink a glass of warm water with lemon after you wake up in the morning. Water takes an active part in creating saliva in fact it's the main component of your spit and you know that saliva is extremely important for breaking down food and keeping the mouth healthy. So if your mouth feels drier than usual drink more water. Water helps regulate your body temperature, when you sweat from the heat of the day or while doing some exercise your body loses water. Sweat is useful in that it cools your body down but if you don't replenish this lost water your body temperature will increase.So always drink a lot of water while doing some physical activity or spending time outside on a hot day. Water lubricates your spinal cord, tissues and joints. Drinking enough water helps these parts stay flexible and pain-free during movement. Staying hydrated can even alleviate the discomfort caused by arthritis. Water boosts your physical performance. Ever notice how athletes are always drinking a ton of water??? That's because hydration affects your endurance power and strength. Water is vital for flushing toxins out of your body through your urine and stool. So to keep your body's filtration and waste removal systems working properly, drink plenty of water plus as we mentioned earlier good hydration prevents constipation and other bowel problems. Water helps with the absorption of nutrients, it dissolves minerals and vitamins along with other nutrients you get from your food. Water then delivers all this useful stuff to different parts of your body. 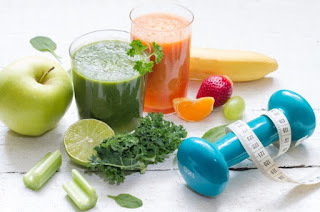 According to several studies increased water intake in comparison to your usual amount when you're on a diet and exercise plan will help you get rid of even more unwanted pounds. If you stay sufficiently hydrated it'll improve your blood oxygen circulation since water helps deliver oxygen throughout the body and this improved circulation has only a positive effect on your overall well-being. It's been proven that drinking just two cups of water raises both male and female metabolic rates by 30 percent and when your metabolism is increased, this gives you a much-needed boost in energy. If you feel exhausted or confused check how much water you've drunk today. Not getting enough can seriously mess with your mood and even cause anxiety. Do you try to drink enough water?? Which side of the drinking while eating debate are you on??? Tell me in the comments below and be sure to sign up for my mailing list, and i'll send you an email whenever i write a new blog post. Look forward to keep in touch. If you found the flow of information about water quenching your thirst for knowledge.